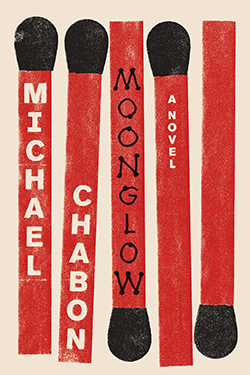 We’re about 10 weeks out from the release of Moonglow, Michael Chabon’s new book. It’ll be his most recent book since Telegraph Avenue four years ago. I have to admit I am pretty excited about this one. While Telegraph Avenue did not exactly “crank my tractor” many of his others have been fan-freaking-tastic. I still find myself recommending The Yiddish Policeman’s Union as well as craving conversation about The Amazing Adventures of Kavalier & Clay. I also enjoyed The Final Solution and The Mysteries of Pittsburgh. Moonglow follows the implications of a grandfather’s deathbed confession to his grandson as he recounts family tales and relationships. 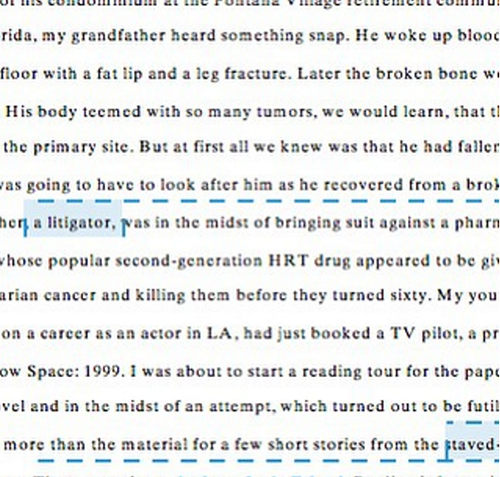 Many people are expecting to see much of Chabon himself in the novel as Chabon was bedside when his own grandfather passed away in the late 1980’s. We’ll see. Hopefully it’ll be another good one. Chabon is one of those authors that I always look forward to reading and discussing with others. The book will be in bookstores on November 22, 2016. I hope you find yourself this weekend with a book in hand a tall ice cold drink. And some air conditioning or maybe at least shady tree and a hammock. Saturday, July 18th starting at 4:00pm – award-winning children’s book author Lou Anders will be signing Nightborn the newly released second book in the Thrones & Bones kids fantasy adventure series, at the Summit location of Barnes & Noble. Sunday, July 26th at 2:00pm to 4:00pm – the Bessemer Hall of History will be hosting author Ken Boyd as part of a new exhibition. Boyd will be signing his book The Art of the Locomotive. Monday, July 27th starting at 4:00pm – Carla Jean Whitley will be at the Alabama Booksmith signing her newest book Birmingham Beer: A Heady History of Brewing in the Magic City. 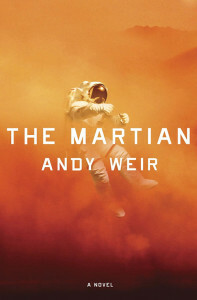 Where I heard about this book: I received this book through the LibraryThing Early Reviewers program. This is such a fun read. If you enjoy books or if you enjoy authors or if you enjoy writing or any combination of those then I think you’ll think the same. By The Book features un-edited Q&A sessions with 65 very well-known writers. It’s as if you get to flit about during the epic dinner party of ALL epic dinner parties and eavesdrop on conversations. Names like Grisham, Tyson, Tartt, Chabon, Gaiman and Rowling is just as sampling of who is on the invite list. 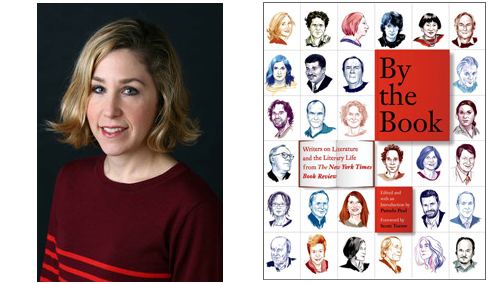 The book is a collection of Pamela Paul’s column for The New York Times Book Review of the same title – By The Book. Throughout the pages and sidebars we learn which books inspired these authors, which writers they can’t stand and which books they think are overrated. This is a book that every book lover will enjoy. Each profile is only 2-3 pages. So it’s great for snacking on when you have a few minutes. Each bite is full of insights into what makes these high profile wordsmiths tick and what pushes them to put pen to paper. If there were ever a book to leave on the nightstand in the guest room, this is it. It’s so much fun. I’m recommending this book to all my friends who enjoy reading and books. I give it 3 out of 5 stars.